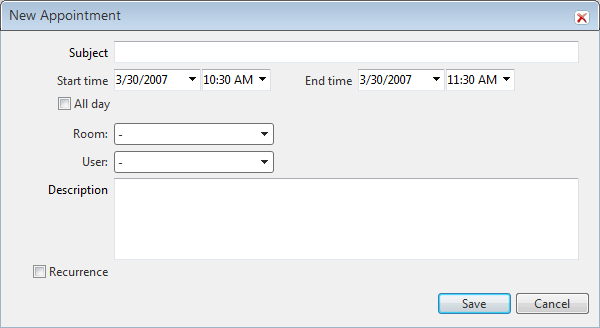 With Q3 2009, RadScheduler supports an integrated description field. To enable the description field, you need to set the DataDescriptionField property. For example -DataDescriptionField="Description", where "Description" is a field or column name in the data source used to bind RadScheduler. If using a provider, then you need to set EnableDescriptionField="true".